Not any more. Once a hobby for the wealthy, orchids are now within the reach of any income. 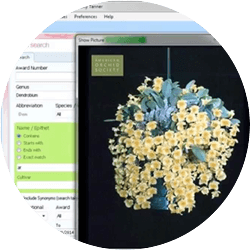 Modern reproductive methods make it possible for growers to enjoy plants for a reasonable price. You can spend as little as you like. But trying to own one orchid is like trying to eat one peanut. Are all orchids the same? Quite the contrary. No plant family is more diverse. After all, the orchid family is the largest plant family, occupying almost all possible environments. From the thimble-sized Mystacidium caffrum to the 20-foot-tall Renanthera storei, orchids exhibit amazingly different shapes, forms and growth habits. Some orchids produce blossoms no larger than a mosquito; other orchid flowers are as large as a dinner plate. Your familiar corsage is just one of the thousands of attractive types that can be grown with ease, given the proper culture. And with today's propagation methods and current hybridizing trends, there are more choices to choose from than ever before. Do orchids come from the tropics? Some do. But every country in the world and every state in the United States, including Alaska, have orchids. Most are long-lived. In fact, some species are virtually immortal, given the proper attention. Divisions or propagations of orchids discovered in the 19th century are still growing and flowering today. How long do orchid blooms last? Again, it depends on the plant. Some bloom once a year, others bloom several times a year and some even bloom continuously. Some are so powerfully scented as to perfume an entire greenhouse or living room. A few orchid fragrances defy description, while others mimic familiar aromas -- raspberry, coconut, lilacs and citrus. Others have no scent, but rely on shape and color to attract insects or birds for pollination, thereby continuing the life cycle of the species. Yes. Because many of them are cultivated in pots or baskets, they can be carried anywhere. Many growers use blooming plants as living centerpieces in their homes. 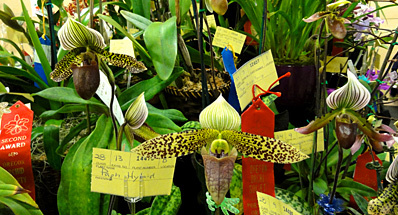 Orchids are routinely mailed and sold at shows. But use common sense. 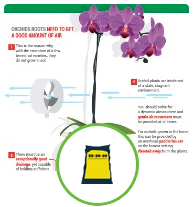 When you buy orchids, do not let them sit in a hot or cold car or damage may result. Where can I buy orchids? 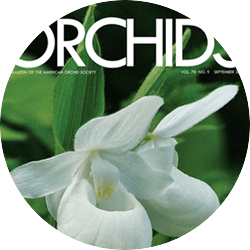 Hundreds of orchid nurseries, many of which advertise monthly in Orchids magazine, exist in the United States and around the world. Visit the Orchid Source Directory, available at www.aos.org to find one near you or in an area that you plan to visit. 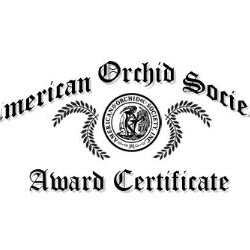 Additionally, many fine growers will ship orchids right to your door! 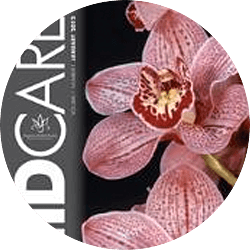 Today orchids are found in the "big box" stores and perhaps even in your local supermarket. Is conservation of orchids an important issue? Absolutely! Sadly, orchid species are becoming extinct faster than they can be described and classified. Threats to orchids originate primarily from loss of habitat and collecting. 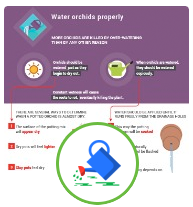 The AOS advocates the purchase of only artificially propagated orchids, either from meristems (clones) or seeds, which will help discourage the collecting of orchid species at home and abroad. 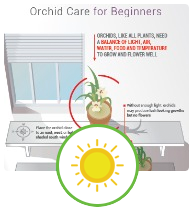 The AOS also encourages orchidists to pollinate orchid species already in their collections and to share the seedlings with their fellow orchidists. For more information about this serious topic, and to learn how to get involved and to support conservation efforts, visit the conservation pages of this website. First, check out the AOS's popular culture sheets available at www.aos.org. Additionally, there are many excellent books available to help a novice grower learn more. The AOS offers an extensive booklist. Amongst the many publications in this listing are a variety of illustrated handbooks published by the AOS. Most bookstores and public libraries have good orchid book selections also, as do some commercial orchid firms. Perhaps the most useful learning step is to become a member of your local orchid society. Currently, there are more than 550 Affiliated Societies scattered around the globe. A listing of Affiliated Societies can be found at www.aos.org. Click on the sitemap, then Affiliated Societies for easy access to the closest society to you!